It’s no coincidence that actors tend to have the Perfect jawline (chiseled jaws). There seems to be something fundamentally attractive about the strong jaw. If you ever wished for a tighter & perfect jaw line, but didn’t want to go under the scalpel, then you are here for your luck! Kutiz Skin Clinic provides Ultherapy, ultherapy is what you’ve ever wished for! Wish to have a tighter, perfect jawline without stressing your body much. Ultherapy: How Does It Work? Ultherapy uses ultrasounds in lifting and tightening your brows, tightening the chin and neck, improving wrinkles and so on. Yes, it really works like a miracle, but this revolution of technology uses many of the similar principles as skin rejuvenation to revitalize whatever area it’s applied to. It can be used on the neck the face, the chest, the sternum or clavicle. Essentially, by using the ultrasounds to stimulate the production of collagen deep inside the skin, skin texture and skin laxity is improved. What about the perfect jawline? Here in the case of jaw, tightening the skin promotes a very strong contouring effect that can’t be underestimated. Ultherapy primarily affects the tightness of skin. Thus, it produces a similar effect to a neck lift. In a neck lift, loose and extra skin is removed. Ultherapy stimulates the production of collagen to tighten that skin-emphasizing the intrinsic structure of bone, and mitigating the “roundedness” of the face and undoing sagging or jowls that might have occurred because of aging or due to weight gain. Any one going in for Ultherapy should be able to address his / her needs within the bounds of two or three sessions. However, the desired results may require the maintenance sessions as well. Fillers can help hide the early jowls and improve the definition of the jawline. 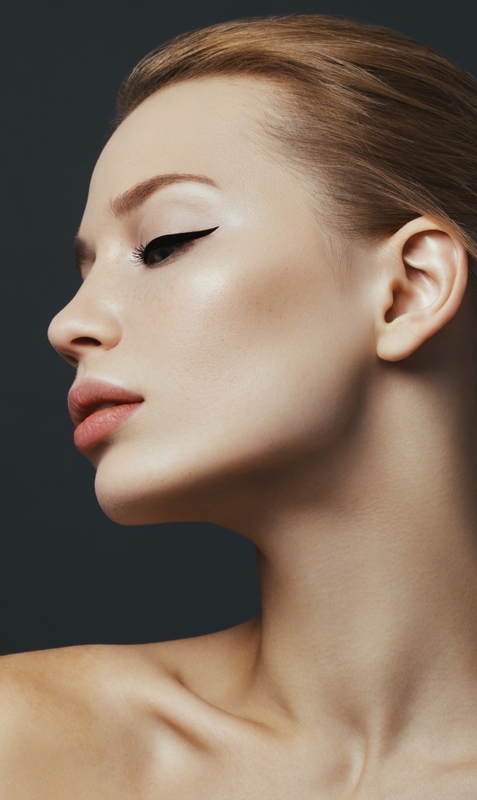 Botox and fillers when combined can offer the ideal aesthetic perfect jawline. Botox injection is able to pull up the skin, thus resulting in a more prominently defined jaw. In others, who lack definition, the fillers can be used to offer better results. A mixed treatment is helpful for patients, who desire exceptional results. They are provided various options by aesthetic physicians and can select the one that suits their requirements the most. If you want to know more, call Kutiz Skin Clinic today to schedule your appointment.